Here’s where you can find the latest news about what’s going on in my world – interviews I’ve done recently, competitions, upcoming events and of course book signings. Do come along, I’d love to meet you! **UK competition** For your chance to win a copy of I Owe You One and a Luxury Easter Egg simply fill in the entry form below. You have until 9am on Tuesday 16th April to enter. Good luck! For your chance to win one of 20 advance proof copies of I Owe You One, simply complete the form below before 1pm (GMT) on Thursday 14th February. Good luck! Please note: This competition is open to UK residents only. Please check back for global competitions in the future. Fairy in Waiting US Blog Tour! Join me for an evening event at Linghams Bookshop, Heswall (CH60 7SG) on Tuesday 12th February from 6.30pm. I’ll be talking about I Owe You One, and answering reader questions, followed by a book signing. Arrive 6.30 for 7pm start. Tickets: £7 (redeemable against the book), plus a small transaction fee. For tickets CLICK HERE. A new look for Becky Bloomwood in the UK! Win one of 100 Christmas cards! Behind the Scenes of Can You Keep a Secret! This week saw the start of filming for the Can You Keep A Secret? movie in New York. Here’s Hollywood favourite Alexandra Daddario, who will play Emma, with co-star Tyler Hoechlin (aka Jack Harper). I’ll be visiting the set soon myself and I’m almost bursting with excitement. More news to come! Win a copy of Can You Keep a Secret? Can You Keep A Secret? the Movie! Read an early extract from Surprise Me! My Not So Perfect Life from around the world! Since My Not So Perfect Life first came out in hardback in February, it has appeared around the world with a number of different looks. Just look at this stunning collection! Do tell, which is your favourite? On Tuesday night, Barnes & Noble in Eastchester NY hosted a fantastic Girls’ Night Out launch event for My Not So Perfect Life. It was so lovely to see so many people at the event – but if you weren’t able t be there, you can watch the video from the live Facebook stream now! Sophie joined USA Today for a Facebook Live chat about My Not So Perfect Life, her inspiration and her experiences of glamping! Don’t worry if you missed it, you can watch the video feed now. 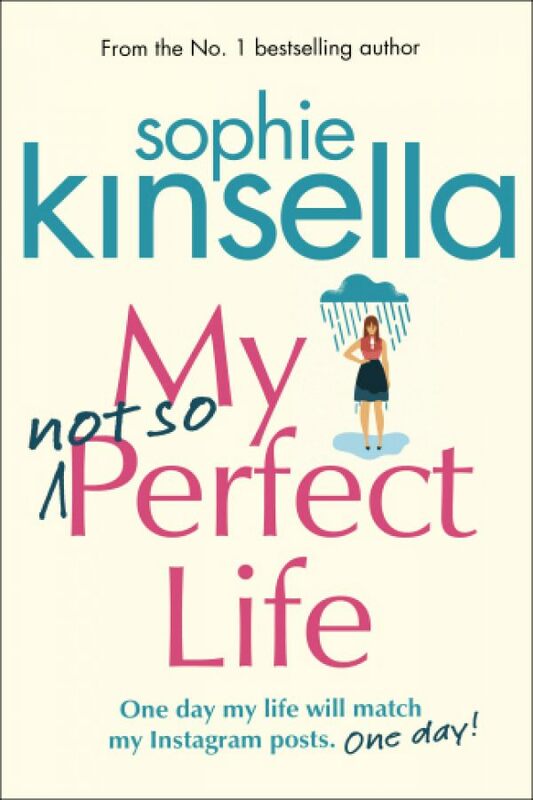 ***This competition is now closed*** It is less than a week until My Not So Perfect Life is published in the UK but, if you can’t wait that long, we are giving away four signed proof copies. For your chance to win, simply enter here. Good luck! Sophie met with James Naughtie on ‘Meet the Author’ where they discussed writing, finding inspiration and My Not So Perfect Life. Don’t worry if you missed it – you can watch it on catch up here. Afternoon Tea with Louise Pentland! Sophie went to meet vlogger Louise Pentland for afternoon tea to talk about My Not So Perfect Life and share their own ‘not so perfect’ moments with each other. Watch Louise’s video below. I’m so excited to share the news that Finding Audrey has been selected for the Zoella Book Club! I hope you love the new hot pink cover as much as I do… You can watch Zoe talking about all her picks here. My Not So Perfect Life – Proofs are in! Hooray, just look at these proof copies of My Not So Perfect Life from the US and the UK – don’t they look beautiful side by side. Sophie will be appearing at the Bath Feestival on 9th October alongside Cecilia Ahern, author of Flawed, to talk about Finding Audrey and writing for new audiences in YA. Tickets are available here. Sophie to appear at the Edinburgh International Book Festival! Tickets are now available for the Edinburgh International Book Festival and Sophie will be there on Sunday 14th August to talk about Finding Audrey! Get your ticket now! Sophie to appear at YALC! The full schedule for ‪YALC‬ has been announced and this year Sophie will be appearing on the main stage on Saturday 30th July talking to Sarah Crossan, Keren David and Annabel Pitcher about YA stories. Hope to see you there! Thanks for having me, Germany! I had such a lovely time in Germany! It was so lovely to meet so many of you in Hamburg, Hanover and Berlin. I had an amazing time at Creativity is Great and I even had the time to go and see the Brandenburg Gate! Sophie will be visiting Germany next week! She is doing events in Berlin, Hamburg and Hannover – you can find out more details here. Sophie is coming to France! Sophie spent most of her day today at a photoshoot for Gala France! Thank you to Severin, Thomas and Beth for a great day. And, Sophie will be visiting France and Geneva next week! For more details, check out her French Facebook page and Belfond. Hope to see you there. Sophie is coming to Italy! Shopaholic to the Rescue all over the world! Join Sophie for a Q&A at Mayfair, London! 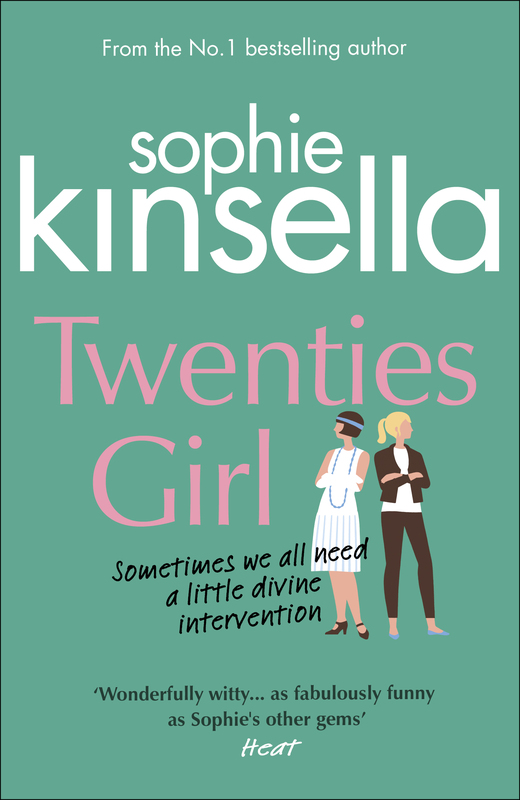 On Wednesday 18th November Sophie is being interviewed by Natasha Harding and The Sun about books, Becky and Shopaholic to the Rescue. Tickets include a copy of the book and Sophie will be signing copies too! Find out more here. Read Sophie's interview with Brightly! Sophie went along to ITV this morning to have an interview with Lorraine and even bumped into Sue Perkins while she was there! Don’t worry if you missed it, you can catch up here. We’ve stumbled across Becky’s secret diary from her roadtrip in Shopaholic to the Rescue! Keep up with her latest up dates over on Sophie’s Facebook page. Sophie is just back from her tour of Brazil and had an amazing time meeting all her lovely readers. Some of you even brought fan art and themed cupcakes – they were AMAZING! Thank you so much to all of you who came and stood in line to get your books signed! Sophie’s trip to Brazil this month! BookBub have released their list of their favourite beach reads for the past 15 years and we are super excited that Confessions of a Shopaholic tops the list for 2001! Just look at all these beautiful event, coverage and editions of Finding Audrey from all over the world. We are so excited that you are all enjoying meeting her! Hear Sophie on BBC Radio 4! Today Sophie went along to BBC Radio 4 to talk about Finding Audrey – and played a cardboard violin! Yes, an actual cardboard violin – made by Ron Cain. If you’re in the UK you can have a listen now! Check out this cute video trailer for Finding Audrey – you can catch a glimpse of Audrey and those infamous shades while she gets to know Linus. 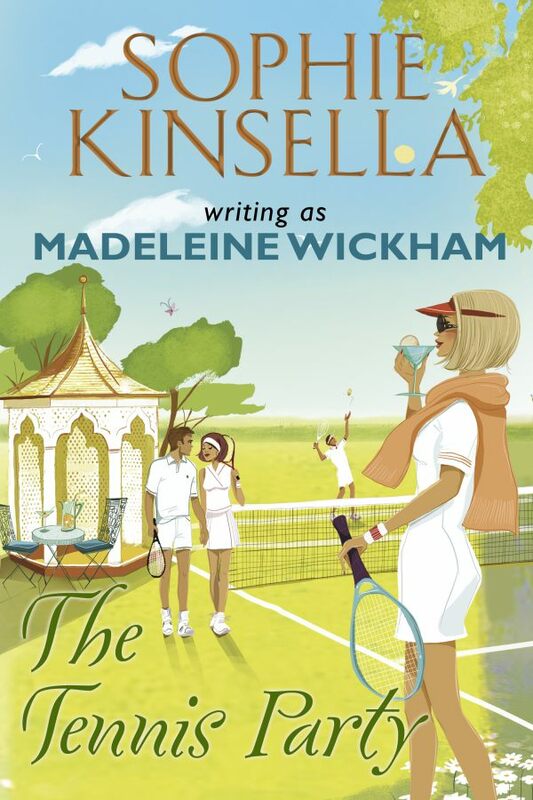 Shopaholic to the Stars – UK edition out now in paperback! The UK edition of Shopaholic to the Stars is out now in paperback, and also available in ebook and audio. So, if you haven’t caught up with Becky’s hilarious new adventures with Luke and Minnie in Hollywood, now’s the perfect time 🙂 The US & Canada paperback edition will be out on 14th April. Win a personalised online stylist session! Cover reveal for Finding Audrey! Congratulations to the winner of our recent Champneys Spa Pamper Day competition, Helen Lane. Keep a lookout here for more competitions coming soon! Sophie's first YA novel will be published next year! 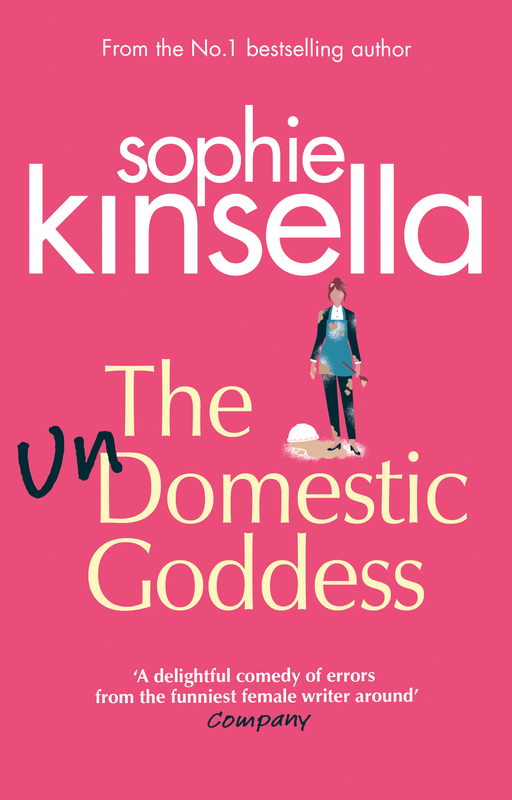 WIN one of 100 Sophie Kinsella goodie bags! 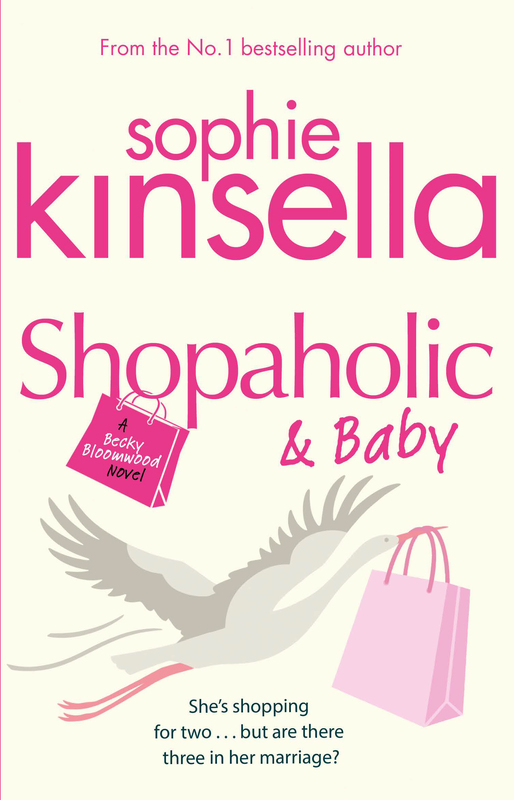 NEW Shopaholic novel coming Autumn 2014! It’s the news all Shopaholic fans have been waiting for! 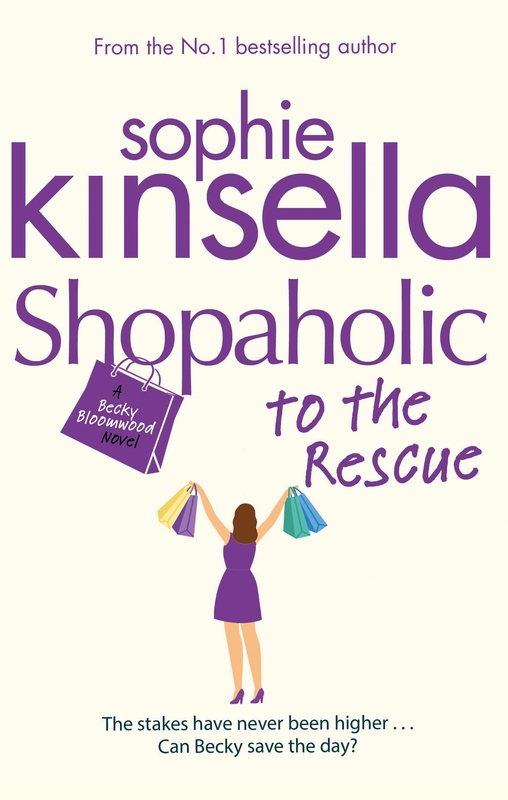 Shopaholic to the Stars – the brand-new Shopaholic novel starring Becky Bloomwood – will be published in Autumn 2014. Win a 5* holiday to Greece! Win a personal Christmas card from Sophie! This competition is now closed. As a special gift to her fans, Sophie Kinsella will be sending out 100 personal Christmas cards to her readers around the world. For the chance to receive one, enter our competition on the Transworld website. Good luck! Congrats to our competition winners! We are over the moon to be able to reveal the gorgeous cover for the UK edition of Wedding Night (published in hardback and ebook on 25th April). Hope you love it as much as we do! Look out for a brand new competition to celebrate the April launch of I’ve Got Your Number in paperback and the exciting new hardback Wedding Night. USA Today gives IGYN a great review! I've Got Your Number cover reveal! We’re thrilled to share with you the two very different new covers for the UK & US editions of I’ve Got Your Number, Sophie’s next novel which will be published in February 2012, in most countries around the world. New fan Q&A with Sophie – what would you ask?